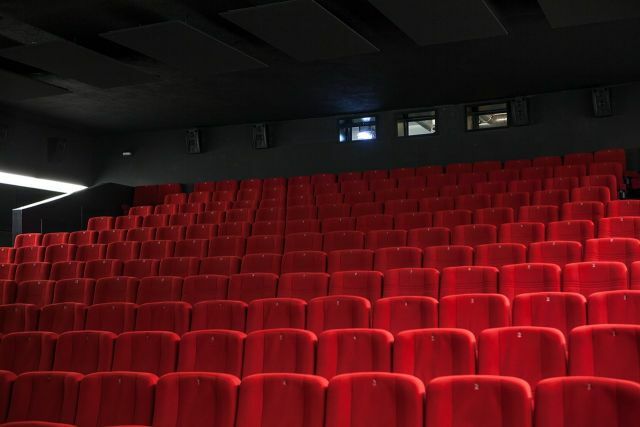 When you go to the movies the images you see on the screen are likely produced by Christie Digital’s projectors. 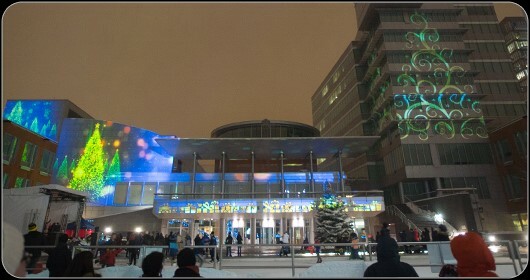 Christie’s mission is to help its customers create the world’s best shared experiences (https://www.christiedigital.com/). 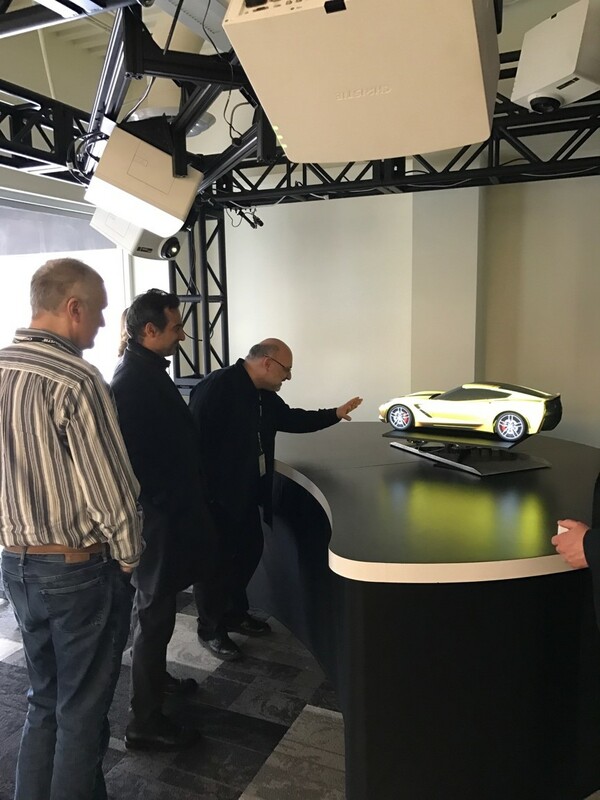 We recently visited Christie’s engineering and manufacturing headquarters in Kitchener, Ontario Canada. Touring the facility, we got to see the latest projection technology and experience the difference between shadowy-black and completely-black projected images. This was easily observable. However, they were also quite pleased to show us the difference between a really-red color and a just-red color and to the untrained eye it was hard to tell the difference. You would think that to have the perfect image, you need a perfectly stationary screen. Not so. We learned that speckle reduction can be achieved by slightly vibrating the screen using an array of acoustic elements behind the screen. The digital imagery was truly remarkable. These guys know their stuff! We next tried their immersive, stereo, spherical display cockpit. You’re able to move around the space using a 6D puck input device. Multiple projected images are stitched together seamlessly. It reminded me when the (Alias) Research group was exploring small-scale immersive environments with the Elumens display. 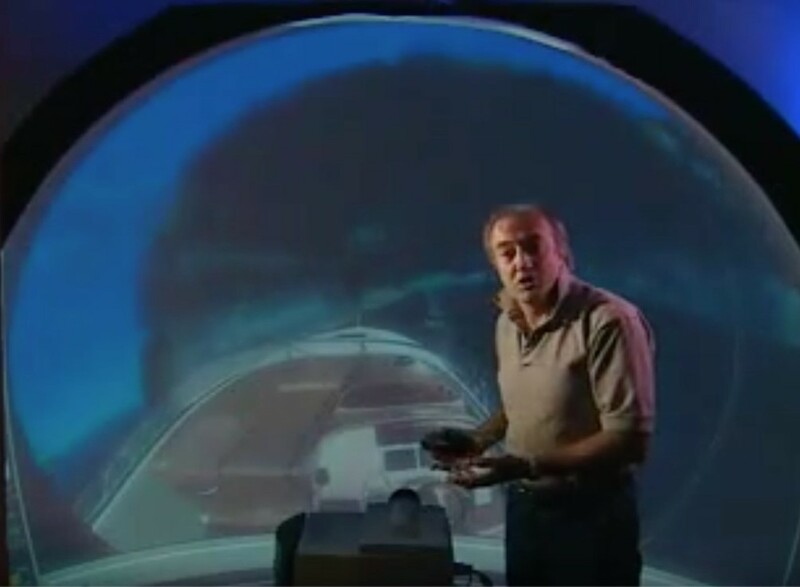 It had a spherical lens mounted on the projector (https://youtu.be/Zczq679xRuI). It’s great to see this concept scale up to a full user experience and how concepts and technology continue to evolve through time. One of the most impressive demonstrations on our tour was the projection mapping of dynamic content onto 3D objects. 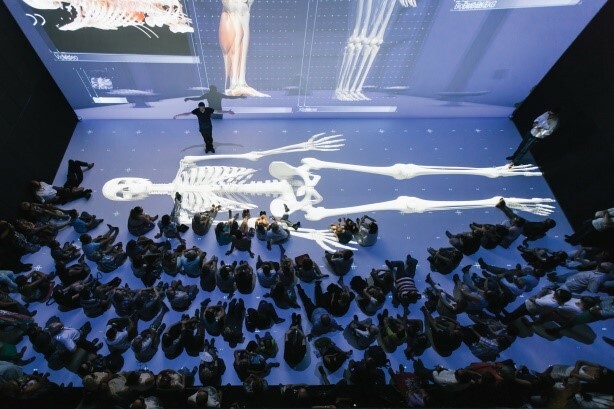 Using multiple projectors, structured light, image mapping and cameras, Christie demonstrated the ability to project content onto 3D shapes and adjust the content in real-time as the physical object moves. 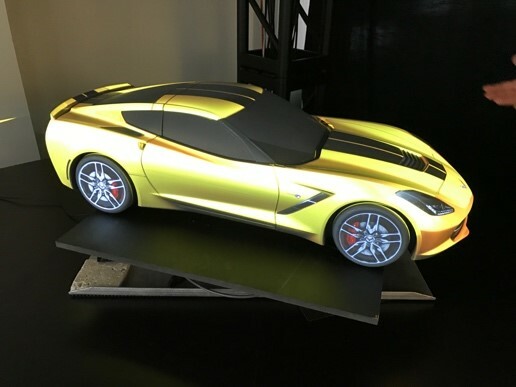 Here you see a 3D model of a car on a turntable that you can rotate. It seems real and full of details. 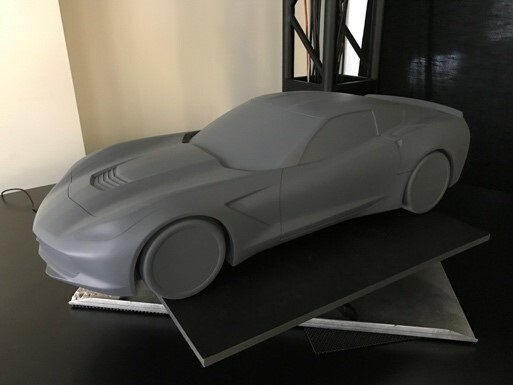 In reality, it is composed of an actual physical grey 3D model of a car (that serves as a 3D canvas) that sits on a turntable. 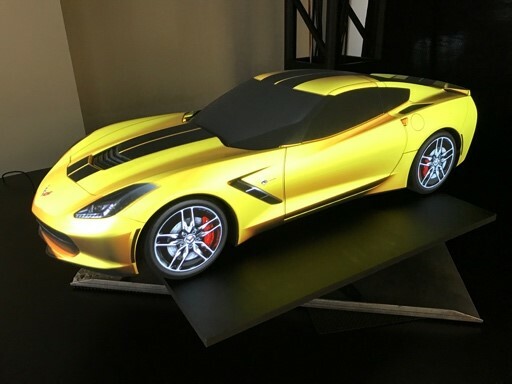 The first image below shows the 3D car model while the projectors are turned off. Once the projectors are turned on, you see the yellow painted car with all the extra details added. As you rotate the car using the turntable, the projected imagery stays synchronized with the 3D object. It seems magical. And it was nice to know that our tools (Maya and 3DS Max) were a part of the process. Our hosts showed us a bunch of other notable projects and technologies they felt represented the breadth of their capabilities. 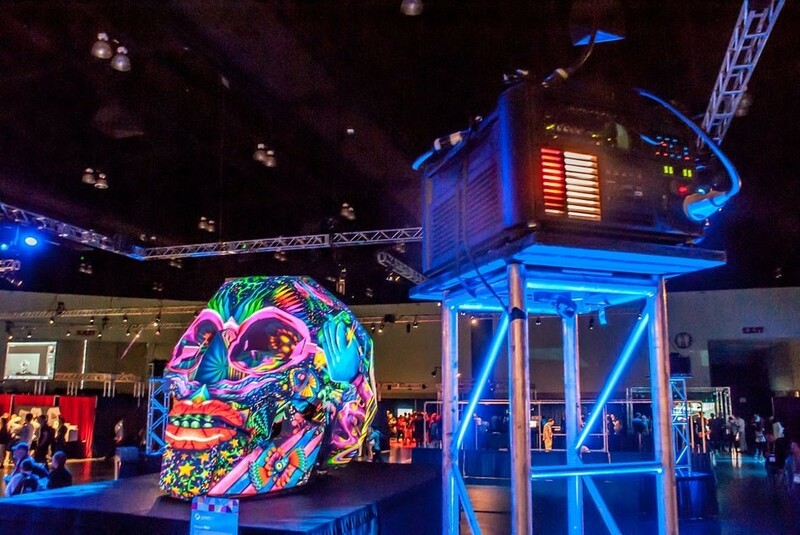 Below is “Shogyo Mujo”, a 12-foot 3D projection mapped skull displaying artwork that pulses to music. It was shown at Burning Man 2014 and SIGGRAPH 2015. 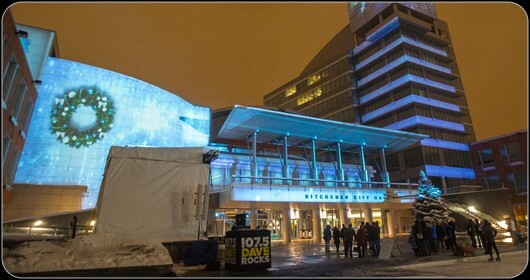 The digital projectors and projection mapping also works on large scale surfaces such as the exterior of buildings. 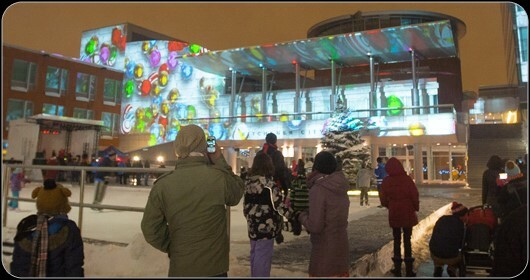 Here they showcased dynamic and interactive seasonal content on the exterior of buildings of city hall as a gift to the town. We also discovered that Christie Digital has products in the medical industry where images are projected onto the human body. 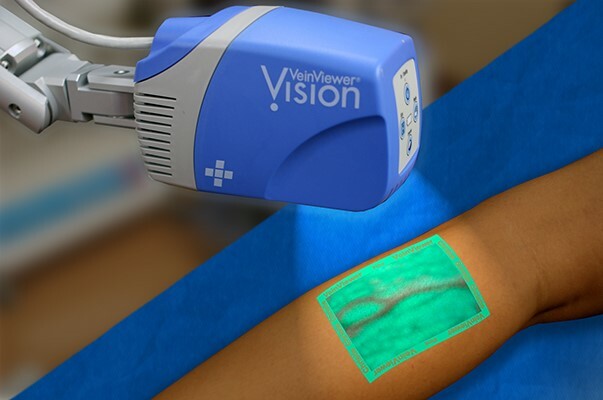 In this case the VeinViewer can sense your internal vein structure using near-infrared light sensing and project the data back onto the arm in real-time. They project large-scale content such as these medical models onto horizontal and vertical surfaces for a truly grand learning environment. 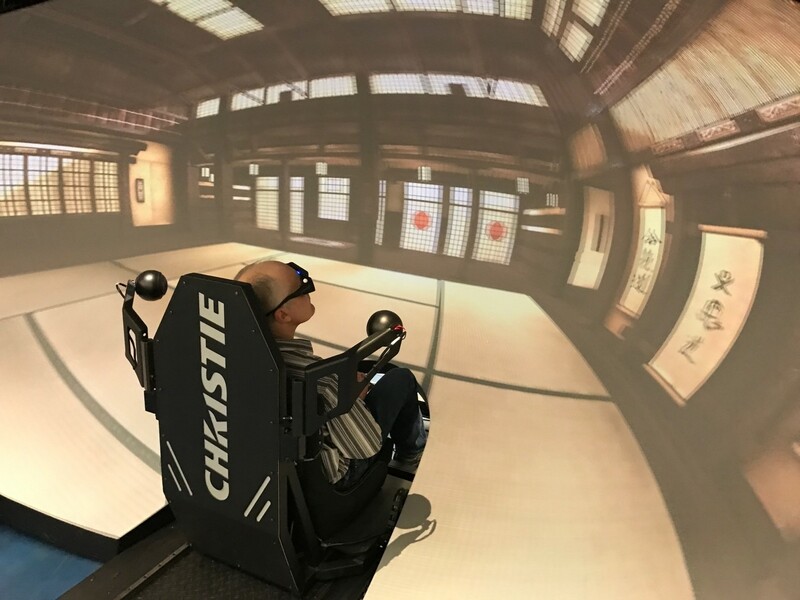 In the end, we were impressed by all the technologies Christie Digital has developed and their eagerness to push the boundaries of what’s possible. They are big fans of Autodesk and use our software to help engineer and design custom solutions. We are planning on hosting them at our new MaRS location real soon, stay tuned!